“If you are a positive person, positive things happen to you” which leaves the inference that if you are a negative person then negative things will happen to you. My initial response was one of fury. How dare this bleep bleep bleep person blame all the people who have had terrible experiences for bringing them on themselves due to the wrong mindset. I work with children and adult survivors whose lives have been incredibly difficult. How on earth could this self-satisfied smug bleeping person think they just needed to be more positive and then things would be ok? So, I admit, I stewed on this on and off for weeks. Then one day I finally worked out why I hadn’t been able to let it go. Positive things do happen in general for some people more than others; those are people with privilege. If you have privilege it’s easy to assume that the good things that happen to you are because of your positive outlook. The problem though is this denies the experience of those without privilege and makes them responsible for the impact that it has on their lives, rather than their lack of privilege which is a problem with society. This cartoon strip http://thewireless.co.nz/articles/the-pencilsword-on-a-plateshows how those with privilege can really assume it is because of them and their talent, or in the case of the person who set me off on this article it’s because of their positive outlook! It’s worse though than just not getting a job, it is an enormous health crisis. A study on Adverse Childhood Experiences (ACEs) https://www.cdc.gov/violenceprevention/acestudy/index.htmlby the CDC in America 20 years ago raised the awareness of ACEs and their long-term impact. 6 or more ACEs means your life expectancy is 20 years shorter and your adult life is more likely to have been blighted by addiction, mental and physical health issues and incarceration. When we talk about privilege we usually think of rich white males, but it is more than that. Class, wealth and race are some things, but it’s also a privilege to be in the 52% who have not had any ACEs or the 23% who have only had one. 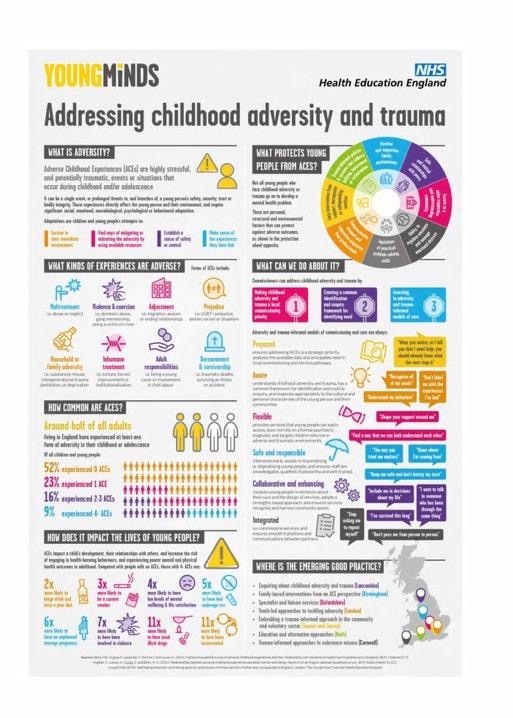 If we allow to go unchallenged ideas about positivity being all a person needs to succeed it means we can turn a blind eye to the 9% of children who are currently experiencing 6 or more aces ACEs and the 9% of adults they will become. We are ignoring a massive societal injustice and health issue that impacts all of society in one way or another. Even if it means paying more taxes for supporting those who can’t work, prison costs and the police. No matter how privileged you are, you have some risk of being burgled or robbed in some other way. The people committing those crimes are highly likely to have multiple ACEs. Think what would happen if they had been helped when young? My challenge to everyone reading this is to think about what their privileges are. Did you have ACEs as well and if so did your privileges help counteract them? In that case, the privileges become a useful protective factor. I admit for a long time I couldn’t see the protective factors I was privileged to have. I was also one of those people who ignored the impact of the lack of privilege in others. After all, I was poor, a child of Irish immigrants, growing up on estates in Southwark, with a very difficult family history and my ACEs score is quite high. I did well, got a job, built a career. I proved it could be done so why couldn’t others? Maybe they didn’t want to work hard enough. But I do have privilege and I now am able to see how much that has helped me. In the race of life, I wasn’t at the very back of the line starting off. I had a few steps head start. Not nearly as many as some, but those steps have made a difference. There are probably loads of others I haven’t listed as well. These privileges helped counteract the impact of my ACE’s, they protected me a lot but not completely, I have scars. I experienced anxiety and depression as an adult, but I know now from the studies that have been done how much worse it could have been. Count your privilege, respect what they have given you, the advantages and/or protection. And maybe then you will see what under privilege is as well. Because until those with privilege absorb this, nothing is going to change and millions of people will continue to suffer.